William LaFollette has over twenty-five years of experience in delivering quality and organizational excellence programs in the health care, automotive, and telecommunications industries. He is an accomplished leader, strategist, public speaker, teacher, and author. Will also serves on numerous committees and has served on the Board of Directors for American Society for Quality (ASQ), He currently serves on the Board of Directors for the Association for Business Process Management Professionals (ABPMP), and Southwest Alliance for Excellence (Regional Baldrige program) building education and certification programs, developing professional collaborative teams, leading execution of global quality initiatives and accomplishing strategic goals. Will has made outstanding contributions in quality and organizational excellence science, as well as to leadership in the development and education of emerging professionals globally, for more than 20 years. 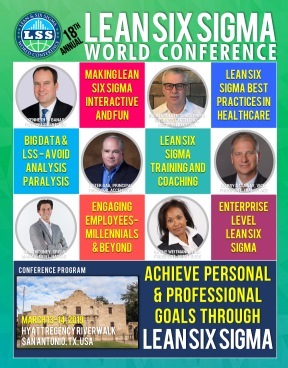 He is nationally and internationally recognized as a leader in the field of quality, and has delivered educational programs on numerous occasions over the past several years on quality management and emerging operational excellence methods. The focus of William’s work and research has been the sources and impact of quality, their relationship to organizational culture and needs of a global community. Will’s mission is to convert thoughts into actions by bringing people and processes in a definite structure within which all the activities that take place allow the organization to accomplish the desired results and move on the path of success and glory. • Engage enterprise wide leadership, with specific emphasis on understanding service line performance and developing systemic solutions from ideation to execution.